There's always a special flavor to the act of busting someone who has blatantly copied someone else's creative work without any attribution. Just ask Beirut/NTSC, he specializes in hunting these down. Of course it's not always black and white like with the ad mentioned in my recent post Candia With A Chance of Meatball. However, when my good friend Hady Chandler Chehlaoui (some of you might know him from his funny videos as part of To Dum Brothers) showed me this ad, by yet another energy drink manufacturer, there were no grey areas and no hesitation, that's plain plagiarism. 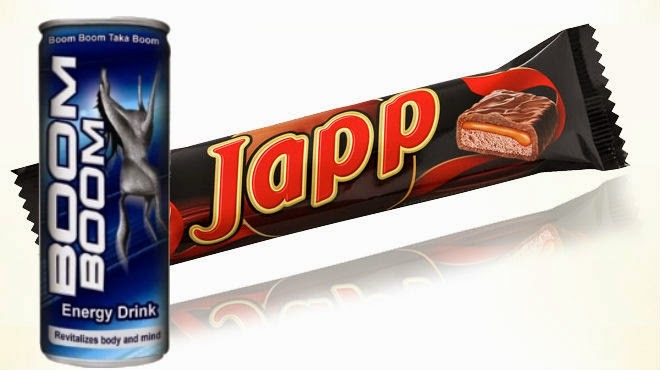 Now jump ahead and watch this ad for chocolate energy bars called Japp. As you might have seen the original Leo Burnett ad was done back in 1995 as part of an original 4-ad series revolving around the same concept and characters ( You can watch them and more here). As many have highlighted before me, it's amazing how some people still think they can get away with such flagrant copying at a time where everything is one Google page away. Seriously, stop insulting people's intelligence!